10 amazing Dog Parks guaranteed to make any pooch's day! When a walk around the block just won't do, you might want to bring your pooch to the nearest dog park. Dog parks give puppy a chance to get off the leash, hang with other canines, exercise and have some fun in a different and stimulating environment. 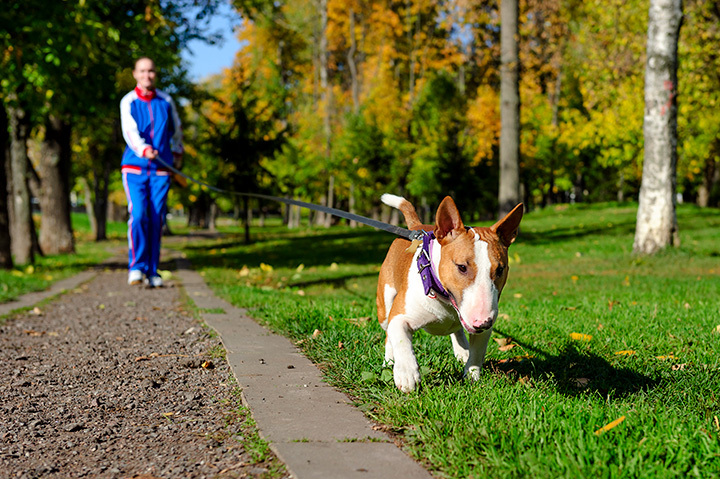 Dog parks are especially great for dogs that live in an urban environment where they may not get as many opportunities to run freely or to socialize with other pups. The owners get a chance, too, to hang out with other dog lovers. Dog parks can range from your basic fenced-in enclosure within a local park, to acres of open space tricked out with water features and structures designated just for dogs. The first official dog park opened in California in 1979. Currently, there are around 1,200 nationwide, and the number keeps growing: the amount of park space designated for dogs is the fastest growing part of the park sector nationally. Still, these ten in particular get a big "paws up." Although the dogs may not care, it's one of the most visually interesting parks in America. Local Cape Cod artists have donated lots of cool sculptures and structures for humans to gaze upon while their pup is busy sniffing butts. There's a large section for dogs to run, play and socialize, but there's also a smaller section reserved exclusively for dogs under 25 pounds. This is the first of the 55 dog parks across the Big Apple, and it underwent a $450K renovation a few years back. There are three swimming pools, running surfaces made of crushed stone and a tree deck. The park also hosts the biggest dog Halloween party in America, with over 400 pups dressing up for thousands of spectators. These 20 acres include lots of ways to stimulate your pup, including specialized training equipment. Fido can run over planks, up and down an A-frame or navigate plenty of other "obstacles." Of course, he can also just chill with his new friends in the shade. It's one of the largest enclosed dog parks in America. Within its 42 acres, you'll find 25 separate fenced-in areas. There are 10 acres of hiking trails for when your pup wants to kick it up a notch. They can splash in the 2-acre Lake Bow Wow, or if they need pampering, Fido can hit the dog-washing stations that offer - wait for it - doggy facials. A resident won a contest to have this "pawesome" dog park (worth $500K) built in her hometown. There's a mini football field, rubberized mulch walking paths, splash pads, lots of shaded areas and a "senior dog hill" where the older pups can hang out. These five acres are absolute heaven for a dog. There's a "digging" area made of sand, a butterfly garden, prairie grass areas to explore and more. Big dogs get their own enclosed space, as do smaller pups. And all of them can quench their thirst at the solar-powered drinking well. It's kinda like Studio 54 for dogs: each animal must show proof of vaccinations and temperament testing before they're allowed in. Within its 14 acres, there's a giant sand pile for digging and climbing, agility training, a swimming pool and separate areas for smaller pups. And the clubhouse offers humans a coffee bar and lounge. The 17-acre park features walking trails, an agility course and shaded structures for hot days. Plus, two bone-shaped ponds give Fido a chance to splash to his heart's content. And to avoid mucking up the car on the ride home, there are dog showers! Located within view of the Golden Gate Bridge, this former landfill has been transformed into one of the most popular off-leash parks in America. Over 500,000 dogs visit its 23 acres each year to romp and play; afterwards they can hit the on-site dog wash. And their owners can hang at the cafÃ© located within the park. Seattle is a huge dog city - there are 11 off-leash parks just within city limits. This nine-acre dog park is the most popular, maybe because it's the only one with access to a freshwater beach. There's also a section of the park reserved for smaller or shyer dogs.